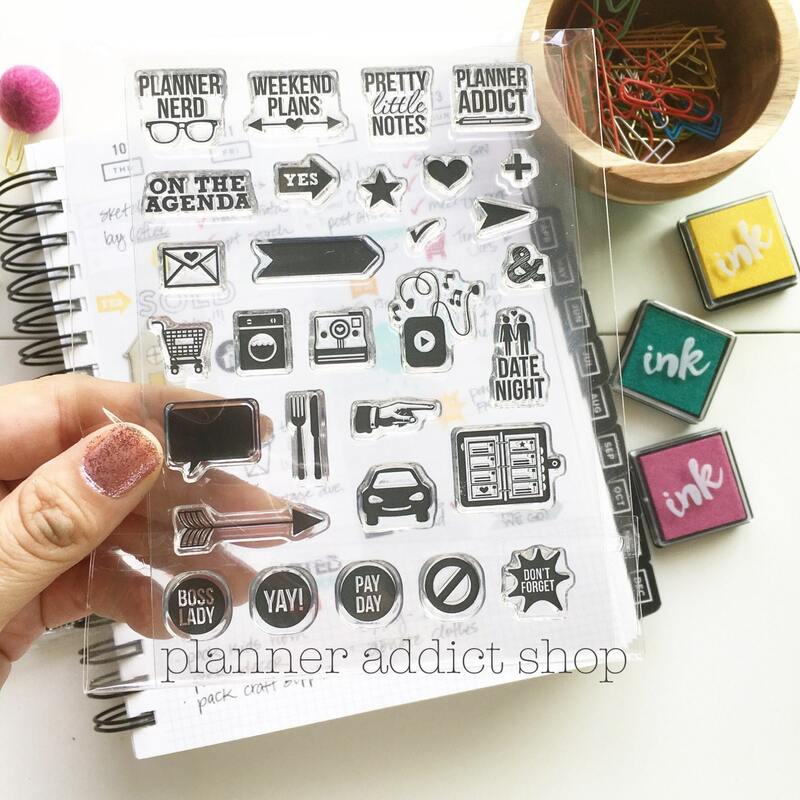 Planner Addict Stamps are now in stock and ready to ship. Get them while you can! 4x6 stamp set made of high quality photopolymer and manufactured in the USA. 30 stamps perfect for planning, scrapbooking & crafting. Love the stamps! Thank you!